Saint Anthony's Feast is an outdoor festival that takes place in Boston's predominantly Italian-American North End District. Nearly 100 push cart vendors and amusements will line Endicott Street, offering everything from Italian-style sausages to games of chance. There is a main stage set up with continuous live entertainment. The Feast honors Saint Anthony of Padua and Saint Lucia, patron saint of the blind. The Feast takes place at Endicott, Thacher, and North Margin Streets in the North End. The area is closed to vehicular traffic, and vendors line the narrow streets. The atmosphere is that of a jovial street bazaar, with European flavor. Popular singers perform on a main stage. A culinary pavilion is constructed where cooking demonstrations take place by chefs from local restaurants. A piazza is set up for patrons to enjoy pizza, pasta, and imported beer from Italy. The festival culminates on Sunday with a grand parade through the streets with members of the society carrying a statue of Saint Anthony, and then on Monday a second procession takes place to honor Saint Lucia. The Feast is sponsored by San Antonio di Padova da Montefalcone, Inc. The group was established by Italian immigrants in 1919. The roots of the Feast are Catholic to honor Saint Anthony of Padua. Saint Anthony was born in Lisbon in 1195 as Ferdinand Pereda, of noble family, and he dedicated his life to spreading the word of Jesus Christ. He initially became an Augustinian monk and later joined the Franciscans, assuming the name Anthony. He was a traveling priest known for brilliant oration, and died in 1231 at the age of 36. Saint Lucia lived from 283-304 and professed her faith in Christ. She was persecuted by the Romans and it his believed her eyes were gouged out, making her the patron saint for the blind, and of light. The festival retains its Catholic roots, with blessings by priests and a benediction. 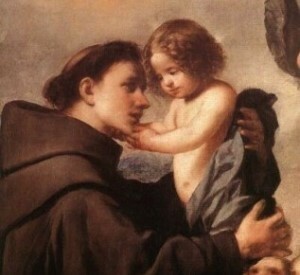 A special dinner also takes place in June, the month in which Saint Anthony died. Rituals take place in December, near the shortest period of daylight of the year, to honor Saint Lucia. Today, the Feast is a food festival, and a popular tourist attraction. There is an abundance of food, such as Italian-style sausages, calamari, zepoli, and handmade canoli and other pastries. Italian ice and fried dough are a mainstay. There will be vendors selling souvenirs and gifts. Live entertainment will be continuous with singers, musicians, and Italian folk-dancers strolling about the neighborhood. On Sunday, the grand parade to honor Saint Anthony takes place, which includes marching bands, drum corps, floats, and fans and friends of the Society. On Monday, a smaller procession takes place to honor Saint Lucia. When one is in the North End, you can also visit the cafes, pizzerias, ristorantes (formal restaurants), trattorias (casual family restaurants), and salumerias (cold-cut shops). There are still several Italian bakeries in the neighborhood that offer fine pastries, with long hours of operation. The Fisherman's Feast, another popular food festival, normally takes place a week before Saint Anthony's Feast.